The Sarasota-Manatee 2012 China Town Hall at the State College of Florida Lakewood Ranch campus provided a wealth of international and local information for our communities in both the local program and the wider reach of a webcast from Beijing. SCF was the local host for this Sixth Annual China Town Hall meeting, created by the National Committee on U.S. - China Relations to provide Americans with the opportunity to discuss Sino-American relations with leading experts. Co-Chairs of the Sarasota-Manatee event were Dr. Richard Elliott and Feng Hou. The event began with an overview of US-China relations by Scott Lincicone representing the National Committee on U.S. - China Relations; Allen Carlson, president and CEO of Sarasota’s Sun Hydraulics and Dr. Charles Steilen, VP Business and Economic Development for the Sister Cities Association of Sarasota. The local presentations were followed by a live webcast featuring Gary Locke, US Ambassador to the People’s Republic of China. 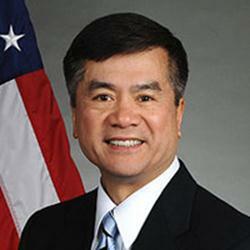 Locke is the first Chinese-American United States ambassador to China, serving in this role since since the summer of 2011. Locke spoke to those watching the webcast from 60 venues across the nation. He stressed four times in his question and answer portion of the web that cooperation between the two countries has grown, he would like to see more people-to-people cooperation. He said he views the people to people contacts between the two nations as “the last three steps in establishing solid business connections.” Locke views the more exposure citizens of both nations have to our different cultures acts in a calming of fears and tempers. Locke said as part of the people-to-people exchange efforts, the U.S. has tried to make it easier and faster for people in China to get visas to travel to the U.S. for business, pleasure or studying. Two years ago it took about 100 days for a Chinese citizen to get an interview for a visa, and now it is down to a maximum of eight days in the busiest months. Though Locke said the relationship is challenging at times, it is important to continue to foster positive partnerships because of how "intertwined and interdependent" the two economies have become. During the local program prior to the webcast, Scott Lincicone representing the National Committee on U.S. - China Relations told the program attendees that China’s biggest need was to obtain political stability to enhance domestic employment. Some of his key points included the Chinese government can act quickly; China understands it is in their interest to make monetary changes, but they feel trapped in making adjustments; China is trying to change from an export nation to one of domestic spending economy; per capita income in China is $5,000 a year, in the US $41,000; the $5,000 per capita income is a skewed number as the wealth in China centers along the coast - the per capita income in the interior of China is closer to $2,500 per year. Allen Carlson, president and CEO of Sarasota’s Sun Hydraulics, told the attendees who a local Sarasota company founded in 1997 became the industrial leader in worldwide business positioning. He called the Sun Hydraulics business model on of differentiated company using a stakeholder approach involving leadership and community involvement. Company policy is no one has a job title, “if you give someone a title, then they focus on that job.” The exception to this policy is only for the required SEC requirements for listing a public company on the stock exchange which makes listing a CEO and CFO mandatory. No one in the company has a business card with title printed on it. It is a company founded by engineers. There are no perks for management, no company car or private offices. Company benefits are all the same. The market in China is growing rapidly. Sun Hydraulics business has expanded from $6 million in 2010 to $15 million last year. He said China is easy to get to by flying to Detroit, and then over the North Pole, involving 14-16 hours. Sun Hydraulics has target 13 cities in China as business locations, including our Sister City of Xiamen. His experience is that that the Chinese are well educated, hardworking and very similar to Americans, especially in the possession of a sense of humor. Issues are there is no legal system in China and the middle class only exists along costal China. Steilen has background includes serving in sales and new product development at Kimberly Clark Corporation; Professor of Advertising/Marketing at the University of Illinois and at Georgia State University; Marketing professor at The Chinese University of Hong Kong; associate director of the university’s Graduate School of Business and executive director of the Chinese University’s Asia Pacific Institute of Business which provided management consulting and management development programs for both multinational corporations and many Asian based companies; Marketing Consultant to the Hong Kong Government’s Trade Development unit; Business columnist for Hong Kong’s daily English language newspaper, the South China Morning Post. He was Dean of the College of Business Administration at Hawaii Pacific University; Member of the Hawaii Export Council, providing marketing training workshops for over 100 Small-to-Medium sized Hawaii based companies; a writer on Exporting for Management Today magazine. He holds his undergraduate degree in Marketing from Bradley University, a Master’s Degree in Marketing from California State University at Long Beach and a Doctorate in Business Administration from the University of Oregon. Since moving back to the Mainland U.S., my interests are to assist U.S. companies in developing and executing overseas marketing strategies and in helping individuals understand the opportunities and methods of doing business overseas. A very special Sister Cities luncheon will be held Friday, November 2nd featuring guest speaker will be Hadda LaMotte, teacher at the Pablo Picasso Lycee in Perpignan, France who will report on her students’ preparation for the SSCA sponsored Sustainability, Renewable Energy Conference to be held in Sarasota in November 2013. Dr. Ray Young, SSCA Vice President for Education will provide additional details about the joint conference by Ray’s planning team of Gloria Grenier, Harry Dunn, Dave Harralson, John Buechler. RSVP and $25 payment required by Monday, Oct 30th to meet new requirements of the Yacht Club. Early RSVP is encouraged. Meal selection is Salad Nicoise: seared rare tuna, french beans, kalamata olives, diced tomato, hardboiled egg, potatoes & capers over baby greens, extra virgin olive oil & balsamic glaze. Payment can be made electronically by check payable to SSCA by mail or electronically at http://sarasotasistercities.org/pmts.htm SYC policy restricts refunds cancellations made after Oct 28th and walk-ins cannot be accommodated. If you enjoy watching Israeli dancing, what could be better than watching outstanding dancers from Tel Mond, Israel perform classic, jazz, modern, and Israeli dance in person? The finest dancers, ages 16 and 17, from the dance school at the Tel Mond Cultural Center are coming to Sarasota. They call their group NOOA, which means movement. NOOA, formed over 15 years ago, consists of 20 dancers and one singer who are beautiful, strong, flexible, elegant, graceful, and amazing performers. In addition to their three chaperones, Avi Eliyahu (Tel Mond Cultural Center Director) will be coming with the 21 NOOA performers. All will be home-hosted by Sarasota Sister Cities committee members led by Alice Cotman, who is planning an exciting schedule for them that includes visits to Ringling Museum, Sailor Circus, Mote Marine, Sarasota Military Academy, Sarasota Ballet, Shabbat dinner at Temple Beth Sholom, and a tour of Sarasota. They will be performing for Sarasota’s Holocaust Survivors at Temple Emanu-El on December 6. Their performance on December 10 will be at 7:00 pm at the Beatrice Friedman Theater on the Jewish Federation campus as part of the Israel @ 65 celebrations. A Hanukkah reception with potato pancakes and sufganiyot will follow the performance. Price is $18 and $5 for students. 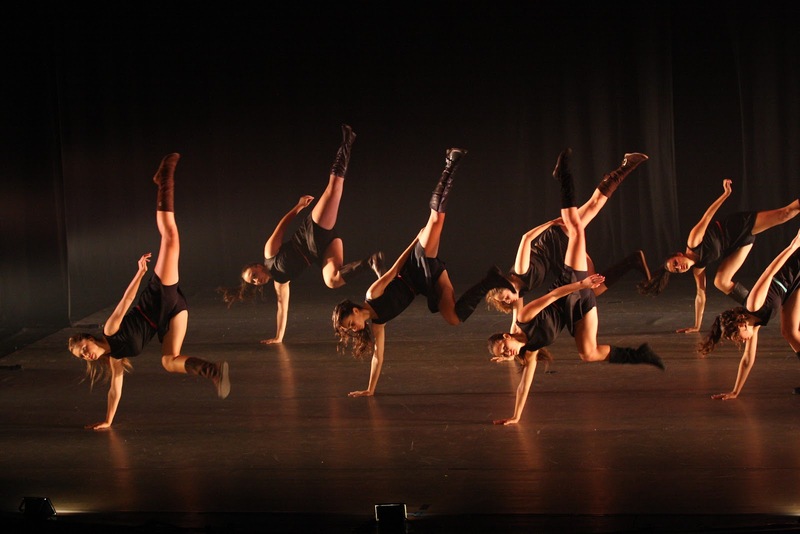 Tickets can be purchased online at www.smjf.org, click upcoming events, and scroll down to NOOA Dancers from Israel. Holocaust Survivor Luncheon and the Israel @ 65 event are being produced in cooperation with the Jewish Federation of Sarasota-Manatee. Sarasota has eight Sister Cities: 1. Tel Mond, Israel, 2. Dunfermline, Scotland, 3. Hamilton, Ontario, Canada, 4. Mérida, Mexico, 5. Perpignan, France, 6. Treviso, Italy, 7. Vladimir, Russia, and 8. Xiamen, China. The promotion of adult and student international exchange is a vital concept of Sister Cities. The committee members making this all possible in Sarasota are Dianne Brin, Alice Cotman, Harriet Epstein, Joe Floersheimer, Marlies Gluck-Upton, Betty Greenspan, Elinor Greenberg, Richard Hershorin, Donna Lerner, Meredith Nierenberg, Taylor Press, Gerry Ronkin, Linda Rosenbluth, Sue Rosin, Lynn Sacks, Kim Sheintal, Adeline Silverman, and Judie Yellen. For more information, please call Alice Cotman at 941- 359-6451 . Sarasota is quickly becoming one of the artistic centers of Florida. Explore the Sarasota Ballet, Asolo Theater and the famous Ringling School of Design to experience the best of Sarasota's art scene. 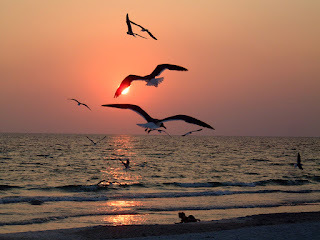 Sarasota, on Florida's Cultural Coast is home to the greatest concentration of natural beauty, art museums and galleries; an abundance of theaters; performing halls featuring orchestra, opera, choruses; film production, and educational centers that make this remarkable city an important venue of creativity. The wealth of cultural resources and creativity in Sarasota match well with the diversity of our sister cities relationships that began in 1963 in response to President Dwight Eisenhower’s vision to enhance worldwide understanding one handshake at a time. Sarasota’s citizen diplomats are involved daily in sister city outreach building bridges toward world peace. In 2002, Sister Cities International awarded the Sarasota Sister City Association a best “overall achievement” award in bringing together all of our sister cities into a three-dimensional relationship. To celebrate Sarasota’s Centenary and also sign the Dunfermline twinning, members from all cities, many of them participating in home stays, gathered in Sarasota to get to know one another. The City of Sarasota, under the aegis of former president Hope Byrnes, has planted a tree for every Sister City where they can be enjoyed on the Island Walk in Bay Front Park. In 1994 Sarasota twinned with Perpignan, Pyrénées-Orientales, France. The official signing in Sarasota was by Sarasota Mayor Nora Patterson and the Vice Mayor of Perpignan, Dominique Schemia. On September 7, 1995 an official signing was held in Perpignan Mayor Jean-Paul Alduly, and Sarasota Mayor David Merrill. The tie was initiated by Alain Taulere who had a home in Perpignan and Sarasota and owned the Cafe of the Arts in Sarasota. He was very prominent in organizing the French Film Festival in Sarasota, which evolved into the prestigious Sarasota Film Festival. 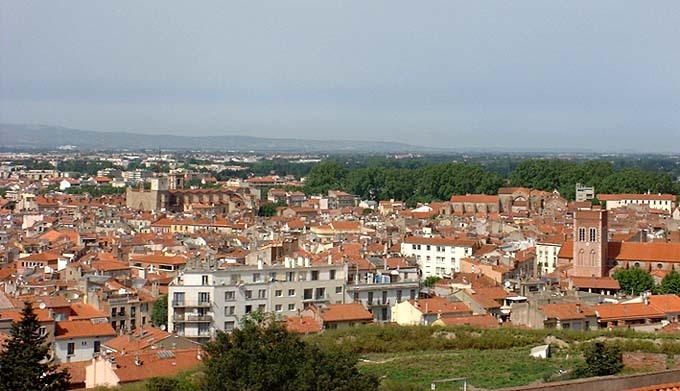 Perpignan is situated on the Mediterranean coast of France and straddles the Catalan border of Spain. The Catalan culture is dominant in the culture and cuisine. Sarasota and Perpignan have hosted many activities over the years, particularly with students involved in exchange visits. A close relationship with the Alliance Française has facilitated many activities including scholarship opportunities. In 2010, the Sarasota-Perpignan program “Sustainable Development - Energy” won a Sister Cities International award for innovation. In l994 Sarasota twinned with Vladimir, the part of Oblast Russia, because of a tie between the Rotary Club of the Keys and a new club in Vladimir which continues today. On October 29, 1994, City of Sarasota Mayor Nora Patterson led a delegation to Vladimir for the first official signing of the partnership agreement. In April of 1995, a year that marked the Millennium Anniversary of the City of Vladimir, Mayor Igor Shimov led a large delegation for the official signing in Sarasota. The City of Vladimir is renowned as the first capital of ancient Russia and is a part of the Golden Ring of ancient cities with a rich culture and history. It dates back to the 1100's with today's focus on development of tourist attractions while maintaining an impressive focus on the arts and education as well as industry. Vladimir students frequently have been chosen winners in the Florida Studio Theatre’s annual Young Playwright competition, and visit Sarasota to be honored and see their play presented by professional actors. Yelena Bychkovski, a Vladimir city employee involved in international relations, became an advance degree student at the University of Florida after learning of our educational opportunities by involvement with former Mayor and mentor Lu Ann Palmer. In 1999 Tel Mond, Israeli Sharon, Israel became a new Sarasota sister city. Many interested people in Sarasota jumped on board, including philanthropist Betty Schoenbaum, who donated a library to Tel Mond. The agreement was signed by Mayor Shlomo Ratzabi and Sarasota Mayor Molly Cardamone. The official signing in Tel Mond was by Sarasota Mayor Gene Pilot and Mayor Shlomo Ratzabi. A 10th anniversary ceremony was conducted in Tel Mond with a delegation visit led by Mayor Lu Ann Palmer and Commissioner Ken Shelin. Like Sarasota, it is a growing community which supports cultural interests and similar population demographics. Sarasota has had a long history of intense interaction with Tel Mond through many prominent Sarasota citizens and the Sarasota Manatee Jewish Federation who have helped in the development of this vibrant city. Tel Mond is a thriving regional center with an emphasis on arts, culture and education situated in the midst of orange groves and productive farm land. Tel Mond’s impressive arts and education program is evidenced in the submissions to elementary school art projects that involved all of Sarasota sister cities. In 1997, four Sarasota high school students, including one from the Sailor Circus traveled to Tel Mond for a youth exchange. Tel Mond has participated in many cross cultural visits over the years, including Boy Scouts, the award-winning Video Boot Camp and the Sister City International Art Show, the International Photography competition, the Florida Studio Playwriting competition, which has been won several times by youngsters from Tel Mond. Tel Mond was the first Sarasota Sister City to have a song written about the relationship between the two cities. Sid Krupkin, a SSCA member, and Elie Matstree of Tel Mond combined to compose “Sarasota and Tel Mond” which features their musical talents combined with singing by school children from both cities. 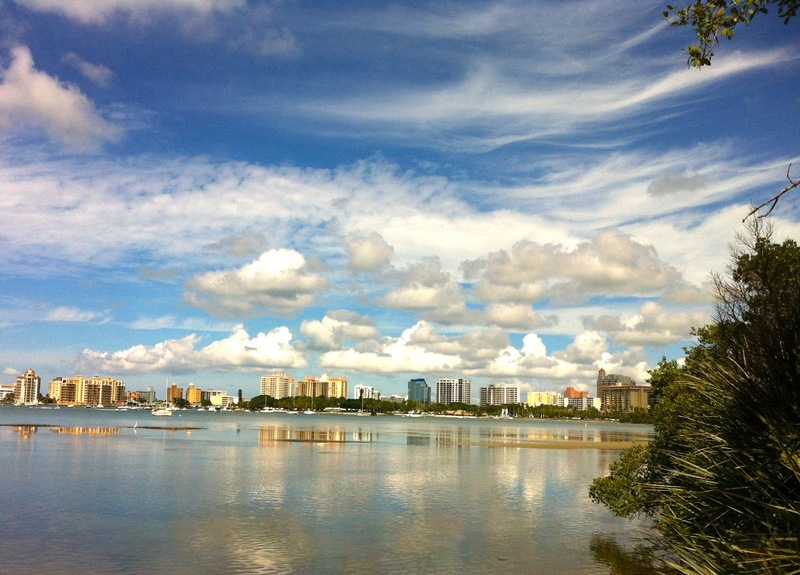 Sarasota was first chartered in 1903 by a group of Scottish businessmen and in 2002, Dunfermline, located in West Fife; the ancient capital of Scotland became Sarasota’s sixth Sister City during ceremonies at the Van Wezel Performing Arts Center. The Asolo Theater contains the stage and interior décor from the turn-of-the-century Dunfermline Scotland Opera House. In 2002, a framed, full-size rubbing of Robert the Bruce was donated to the Asolo and can be seen there today. The 10th Anniversary of this twinning was held at the Silver Thistle Ball at the Bird Bay Yacht Club in February 2012, jointly sponsored by the Caledonian Club of West Florida and Sarasota Sister Cities. Many projects are supported by alliance members including the Royal St. Andrew Society and the Caledonian Club of West Florida. Riverview High School has the ‘Kiltie Band,” a pipe band and the famous Scottish metal sculptor, Malcolm Robertson, makes his winter home in Sarasota. His sculptures can be seen in Scotland, at the Fruitville Library, at the traffic circle on south Manasota Key and occasionally at the annual Season of Sculpture on the Sarasota Bayfront. The twinning was based on Sarasota being founded by Scots and the historical significance of John Gillespie, a Scot, being the first mayor of Sarasota and builder of the first golf course in Sarasota. Dunfermline is the ancient capital of Scotland and is the final resting place of King Robert the Bruce and the birthplace of philanthropist Andrew Carnegie. Dunfermline is just across the bridge from Edinburg and a cat jump to St. Andrews, the world famous home of golf. Students from Treviso come to Sarasota each year as winners of the Florida Studio Young Playwrights competition. In 2007 Treviso Province, Veneto, Italy, located between Venice and the Adriatic and the foothills of the Italian Alps, became twinned with Sarasota. The province of Treviso is one of Europe’s most dynamic growth regions. In addition to its art and history treasures, the province of Treviso is considered to be the most dynamic in Italy. Treviso and the Veneto region in which it is located have enjoyed one of Europe’s highest rates of economic growth. One of the important ties between the 95-community province and Sarasota is the Historic Asolo Theater which was the Opera House of Queen Cornaro in the town of Asolo, Italy. It was on the stage of the Historic Asolo Theater were the partnership was signed between Mayor Fredd Atkins and the President of Treviso Province Leonardo Muraro on February 29, 2007.The twinning has resulted in a rich, active exchange program aided by interest of alliance organizations such as the Ausonia Society and Sarasota Italian Cultural Events. The winner of our 2009 People and Places Photography Contest involving all our Sister Cities was Treviso artist Cristina Madeyski with her “Magic Reflections - Treviso on the Sile River” entry. 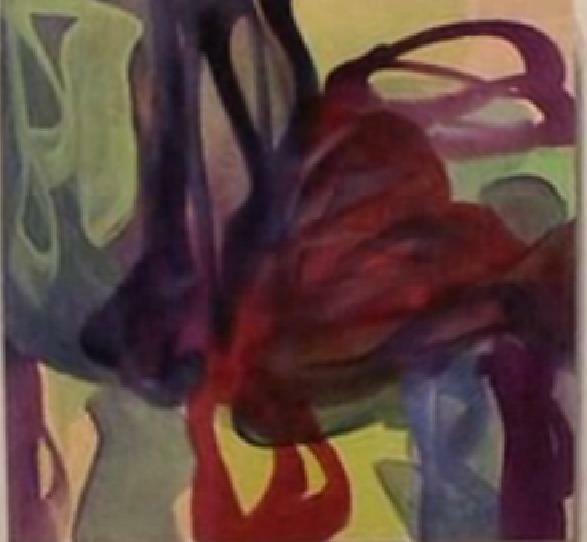 This led to a subsequent showing of her work at the Selby Auditorium on the University of South Florida Sarasota-Manatee campus in February 2012. Frequent tours to locations suggested by Provincial President Muraro have attracted Sarasota residents to Treviso Province highlighting the Pearls of the Province of Treviso for necklaces of memories. And the highlights of the Culture Coast have attracted numerous visits from residents and officials of the province to Sarasota. In 2007 Xiamen (Siming District), Fujian Province, China became twinned with Sarasota. An enthusiastic Sarasota delegation led by Mayor Lou Ann Palmer participated in signing ceremonies in Xiamen during June 5-11, 2007. The signing came after an extensive search. Located along a mountainous coast, across the straits of Taiwan in Southeastern China, Xiamen was recognized as a likely sister city by Dr. Carolyn Bloomer, a professor at the Ringling College of Art, a regular visitor to China and a dedicated group of sinologists. China has such large cities that it was difficult to find a pairing that was right for Sarasota. Several Chinese-American Associations also participate in this pairing. The final signing was conducted by Mayor Lu Ann Palmer at a public ceremony on the evening of October 9 in the old Federal Building in downtown Sarasota. Xiamen was ranked as China's second "most suitable city for living" in 2006, as well as China's "most romantic leisure city" in 2011. Xiamen is a convention city with an annual international trade fair, a sports center for golf, water-sports & martial arts and holds the Xiamen International Marathon each March; a wealth of cultural & education resources including degree programs in Hospitality Management, visual art, artists & public art displays, symphony orchestras, opera companies, jazz groups; and a center for health care, sports medicine, complementary medicine. Xiamen has a major international airport & seaport designated as a Special Economic Zone for foreign trade; a high level of economic development with opportunities for joint investment, real estate & joint ventures; agriculture, aquaculture, horticulture, and marine biology. Recently, an “Exchange of Artists” program was begun in 2009 when Sarasota hosted two artists from China for two weeks. In May, 2011, two local artists, Robert Farber and Julio Rodriguez, were chosen by a panel of local jurors and traveled to Xiamen for two weeks where they, too, were hosted by local families and experienced the Chinese art community. On December 19, 2010, Mérida, Yucatán, Mexico was twinned with Sarasota. Mayors Angélica Araujo Lara of Mérida and Kelly Kirschner of Sarasota signed the official twinning documents in the Courtyard of the John and Mabel Ringling Museum of Art. Located 180 miles west of Cancun in the Yucatán Peninsula the two cities have many similarities including being located near the Gulf of Mexico, having tropical climates, being a regional center for commerce and higher education and sharing a love for culture and the arts. This colonial city on the Yucatán Peninsula is the ideal spot from which to explore important Maya archaeological sites like Chechen Itza and Uxmal. The city has one of the largest historical centers in the Americas with many of the Spanish colonial buildings from its wealthy past remaining. Mérida is one of eight safe and popular marquee tourist spots that is exempt from U.S. State Department cautions against non-essential travel in Mexico. Latino Excellence of Sarasota, an alliance member of Sarasota Sister Cities, conducted the first exchange custom tour from Sarasota on July 23, 2012 providing a unique opportunity to experience Mayan Life and Ancient Cities near our newest Sister City. The fully guided tour featured intimate close experiences including participating in sacred Maya ceremonies with Maya Priests and Healers. Our October 16 Meet & Greet will be at “Eat Here” at the corner of Link and Main Street in downtown Sarasota. There is a free parking garage on the corner of Link and Ringling Blvd that has an second floor entry to the bar area where we will have our monthly event. Plan to join us and bring guests. Enjoy the Happy Hour and a Half specials. pm. Check out http://eatheresarasota.com/ for restaurant details. will allow the restaurant to ensure they have sufficient staff for our group. Striving to improve communications among our Sister Cities and our Members. from Tel Mond to Sarasota. The NOOA dancers from Tel Mond performed in Sarasota in 2004. The committee members making this all possible in Sarasota are Dianne Brin, Alice Cotman, Harriet Epstein, Joe Floersheimer, Marlies Gluck-Upton, Betty Greenspan, Elinor Greenberg, Richard Hershorin, Donna Lerner, Meredith Nierenberg, Taylor Press, Gerry Ronkin, Linda Rosenbluth, Sue Rosin, Lynn Sacks, Kim Sheintal, Adeline Silverman, and Judie Yellen. For more information, please call Alice Cotman at 941- 359-6451. State College of Florida, Manatee-Sarasota, an alliance member of Sister Cities Association of Sarasota, will present a town hall meeting Monday, Oct. 29 at the Lakewood Ranch campus to discuss Sino-American relations with leading local and international experts. The SCF event will begin at 4:30 pm with registration and appetizers, followed by the local program featuring national committee speaker Leland R. Millier and panel discussions led by Allen Carlson, President and CEO of Sun Hydralics Corporation. Highlight will be a nationalwide webcast by former US Ambassador to the People's Republic of China, Gary Locke. Along with his longstanding commitment to public service, Ambassador Locke has extensive experience working with China. As Secretary of Commerce, he co-chaired two sessions of the U.S.-China Joint Commission on Commerce and Trade that resulted in important changes to Chinese trade policy. As Governor of Washington, he successfully strengthened economic ties between China and Washington State, more than doubling the state's exports to China to over $5 billion per year. Ambassador Locke is the first Chinese-American to serve as Ambassador to China, as Secretary of Commerce and as Governor. His grandfather emigrated from China to Washington State, initially finding employment as a servant, working in exchange for English lessons. His father, also born in China, was a small business owner, operating a grocery store where Ambassador Locke worked while receiving his education from Seattle's public school system. Ambassador Locke earned a bachelor's degree in political science from Yale University and a law degree from Boston University.